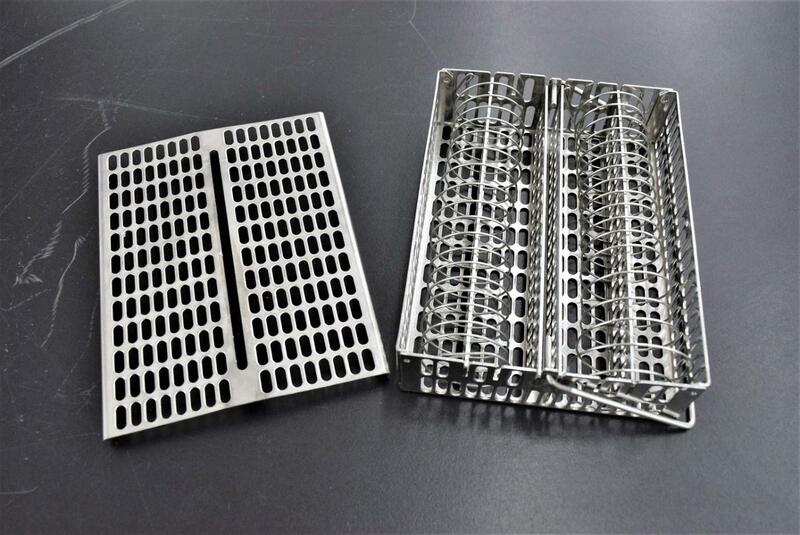 Stainless Steel Embedding Baskets w/Spiral Tissue Dividers for Leica or Sakura . New Life Scientific, Inc. This embedding cassette will work with a Leica or Sakura Tissue Processors. It is made with sturdy stainless steel and not the plastic cases that are out there. The cassette is in excellent cosmetic condition with normal wear and no visible staining. Included are the tissue dividers that separate the samples and a handy carrying handle. We realize that buying a second-hand instrument can be unnerving, therefore we offer a 90-Day Warranty to protect you against any equipment failure or defects so you can buy with confidence.